Social Entrepreneurs find which city fits them best. Suspendisse augue velit, egestas dapibus lobortis. Augue velit egestas dapibus vitae. 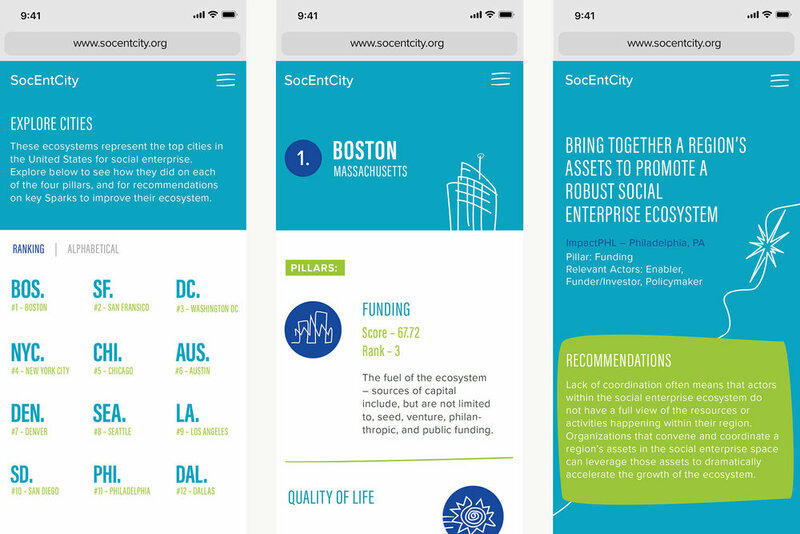 The SocEntCity interactive report is the definitive guide to social entrepreneurship, developed by the Georgetown based incubator Halcyon and Deloitte. From static, raw data, my team and I developed a highly interactive report allowing the user to truly understand and engage with the findings in a personalized and meaningful way. Utilizing SVG animations to bring the header illustrations to life, we created a visually compelling user experience.